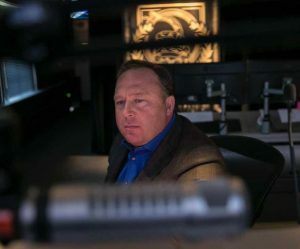 The coordinated attack on widely watched Info Wars host Alex Jones by Apple, Facebook, Google/Youtube, and Spotify is all the proof that we need that the total failure to enforce America’s anti-trust laws has produced unaccountably powerful firms that are able to exercise far more censorship, not only in America but also abroad among Washington’s vassal states, than the Nazi Gestapo or Stalin’s NKVD were ever able to achieve. Recently the progressive Rob Kall and I discussed on his show the implications of a trillion dollar company, which Apple now is. A day or two afterward, Rob Kall wrote an article on his website OpEdNews in which he made a case that a trillion dollar company had too much power for our continuation as a free people. I agree with him. Only 16 countries out of 195 countries in the world, a mere 0.08 percent, have a GDP equal to or larger than one trillion dollars. Think about that. Apple is larger than the GNP of almost every country in the world. In other words, Apple has the power of a major government. 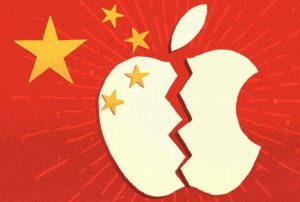 Apple could be a member of the G-20. Apple could institute its own currency and be part of SDR drawing rights. Apple could participate as a backer of IMF and World Bank loans. Apple could have its own military and secret service. In the US almost everything has been monopolized—the digital world; 90% of the print and TV media owned by 5 or 6 companies; 90% of bank deposits in 5 large banks “too big to fail; Walmart, Home Depot, Lowes which have abolished independent community family stores; auto parts franchises that have abolished family businesses; restaurant franchises that have destroyed family restaurants; pharmacautical and chemical monopolies. It is endless. The monopolization of the American economy was done under the rubric of “globalism.” The dogma is that you can’t compete globally unless you are large enough to be a monopoly or near-monopoly. The digital revolution combined with Identity Politics has made it easy to curtail free speech. Any attention to issues that the ruling elite doesn’t want mentioned, any truth-telling that exposes hidden agendas, is branded “conspiracy theory” or “hate speech” and shut down. That monopoly power is what Apple, Facebook, Google/Youtube and Spotify have now exercised against Alex Jones. Alex is just the beginning. He is outspoken and at times over the top. But he puts into the limelight issues that the ruling powers want kept in the shadows. This, and only this, is the reason that the ruling elite are attempting to shut him down. The hate speech charge is a fabricated joke. What Apple, Facebook, and the rest of the American Gestapo mean is that the Truth Is Hate Speech. This is straight out of George Orwell’s 1984. The deception of the American people by censuring truth-tellers is now the official policy of Apple, Google/Youtube, Facebook, Twitter and Spotify. The print and TV media have already fired all the real journalists, such as Robert Parry, Chris Hedges, and Sy Hersh. Now that Alex Jones is being driven off the Internet, the elite’s determination to control all explanations will spread over the Internet until every truth-teller is shut down. It is just a matter of time. Indeed the censorship is rapidly spreading. Twitter has now banned the presence of Scott Horton, who is the editorial director of antiwar.com and Daniel McAdams who is director of the libertarian Ron Raul Institute. https://www.zerohedge.com/news/2018-08-07/crackdown-continues-twitter-suspends-libertarian-accounts-including-ron-paul Tommy Robinson has had his Instagram page removed. https://www.rt.com/uk/435312-tommy-robinson-instagram-ban/ Former State Department official Peter Van Buren has been banned from Twitter, apparently because he told us that government officials lie to us. Identity Politics, which helped to impose speech codes and to create the catgegory of “hate speech” which any member of a “victim group” can turn against white males, is one source of the censorship that is destroying free speech throughout the Western World. However, in the United States the most powerful force for censorship is the fact that the agendas of the ruling elite are unacceptable to the American people. The ruling elite fear that their cover stories are so thin that even those who have been brainwashed will see the light if any truth continues to shine. In the Western World today nothing is more endangered than truth. No public or private institution, whether the CIA, FBI, or Justice (sic) Department, or Facebook, Apple, Google, Youtube, or Twitter, CNN, NPR, MSNBC, New York Times, or Washington Post has any respect whatsoever for truth. Truth is in the way of hidden agendas. The presstitutes serve the hidden agendas, not the truth. Nothing is less welcome in Western political systems than the truth. Yet the Russian, Chinese, North Korean, Iranian, and Indian governments still pursue meaningless agreements with Washington, agreements, like the Iranian one, that have no possibility whatsoever of being kept by Washington. Washington intends to exercise hegemony over the world. 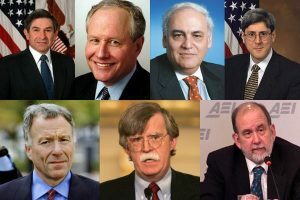 The neoconservatives, who together with Israel with whom the neoconservatives are solidly allied, control US foreign policy and are firmly committed to US hegemony over the world. If the governments of Russia, China, Iran, India, and North Korea do not understand this, they are in for a hard ride. What can we do? Never purchase another Apple product. Desert Youtube, Facebook, Twitter, Spotify. Terminate all Google email accounts and never use a Google search engine. These firms are Nazi Gestapo firms. They deserve our condemnation. These despicable companies should be nationalized or abolished or arrested for aiding the plot to overthrow the President of the United States. They are the agents of evil. There are alternative portals. Turn to them and support the ones that refuse to censor free speech. Hopefully, the anti-democratic actions by Facebook, Twitter and the rest will destroy their business model, and their place will be taken by new firms that respect the Constitution’s protection of free speech. Are Americans so stupid that they do not see what is unfolding in front of their eyes? Our ruling elite have agendas that they cannot defend. People like Alex Jones expose these agendas. The ruling elite have to shut this exposure down, so they misrepresent and demonize Alex Jones. Those brainwashed into Identity Politics and the presstitute media are manipulated and used to instigate a campaign against Alex Jones, just as they have been used against President Trump, Julian Assange, Snowden, and many others. Indeed, PropOrNot was used against 200 independent-minded websites. Once they get Alex, whom they made a target, they will make a target of the rest of us, and all truth will disappear from the entirety of the Western World. Indeed, truth has a scant presence in the existing Western World. The ruling elites have no interest in truth. At some point the Russians, Chinese, Iranians, Indians, and North Koreans will have to become aware of this fact. This time they are starting with Alex Jones. Soon it will be all of us. In America free speech, which is essential to the discovery of truth, is being systematically exterminated. The idea that the United States is a free country is the greatest lie ever told.